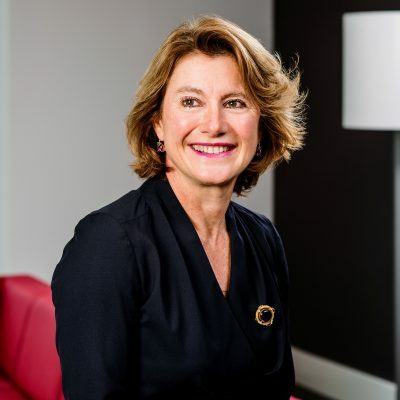 Corinne Vigreux is co-founder of TomTom and managing director of its consumer business. Corinne is a driving force in the European consumer technology industry. She leads TomTom’s Consumer division, growing the business from a small start-up into a global player. Under her leadership, Corinne is diversifying TomTom into a multi-category consumer brand, bringing new innovation to market and returning the consumer business to growth. Corinne’s global team creates and manufactures innovative products that play a meaningful role in people’s lives. Corinne is firm believer that technology should help people move forward, not hold them back. And that technology should make life easier, not more complicated. So Corinne’s focus is on turning complex technology into easy to use products that are accessible to everyone. Best known for being a global leader in navigation and mapping products, TomTom now creates award-winning GPS Sport Watches. Corinne is an entrepreneur who is passionate about technology, design and innovation. She is focused on developing talent and fostering an entrepreneurial culture both at TomTom and in the wider world. As a leader of one of the few consumer technology companies to come out of Europe, Corinne is a champion of European innovation. She plays an active role in organisations dedicated to getting women into more senior positions and in social mobility. Corinne is co-chair of the Dutch Chapter of Women Corporate Directors and sits on the advisory board of the Dutch National Opera & Ballet. Earlier in her career Corinne worked for Psion Plc, where she set up Psion’s international distribution network. Corinne graduated in France with a BA in International Business from ESSEC in 1987. She was made Chevalier de la Legion d’Honneur in 2012.